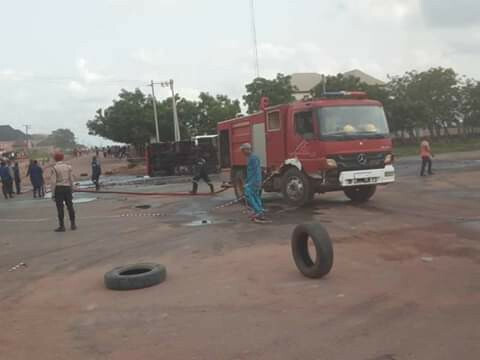 A tanker loaded with fuel collided with a bus carrying passengers along the Amansea Agu-Awka road, Awka. We learnt that the accident happened early this morning at about 2am. An eyewitnesses disclosed to NairaNaijaNews correspondent that several people were injured and some also feared dead as a result of the accident. 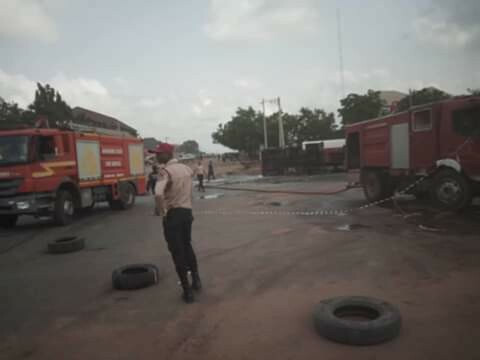 Men of the Anambra State Fire Service, security agencies, road traffic officials were seen at the scene trying to manage the situation.